Not only has it been called a ghost town because of the coal mine closure in 1940, but Coalmont is known for paranormal events and sightings. 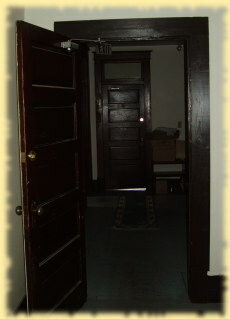 This is not surprising when you consider the unusual lives of some of those who have been here. A walk through the old Granite Creek Graveyard up the hill will hint at many mysteries. The first people came in the Granite Creek gold rush of 1885, and there are still families here who can trace their roots to this time. Even today, the gold and platinum mining continues to offer stories of intrigue and adventure. Nevertheless, it was coal that offered the impetus for the building of this town as well as the Hotel, General Store, and Livery which you see today. The terrible disaster of 1930 which killed 45 miners left a dark shadow over the community, and when the mine closed ten years later most people abandoned their homes. Coalmont fell into a deep silence for many years. Who knows what has gone on in the mountains and around the early gold claims, but the murder of Hattie McBride at the end of Main Street in 1920 is a notable event. She was burned. Her spectre has been sighted by different people on several occations. However, Hattie is only the most identifiable of Coalmont ghosts. Strange and seemingly unnatural occurences are not unusual in this area. Mention of these things can sometimes be heard among the local people, but there are also vague references in Michael Kluckner's "Vanishing BC", and Diane Sterne's book "White Gold and Black Diamonds". 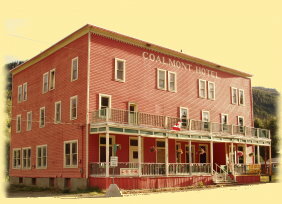 The Coalmont Hotel has been investigated by The Canadian Paranormal Society and it is expected that something will be published by them in the future. 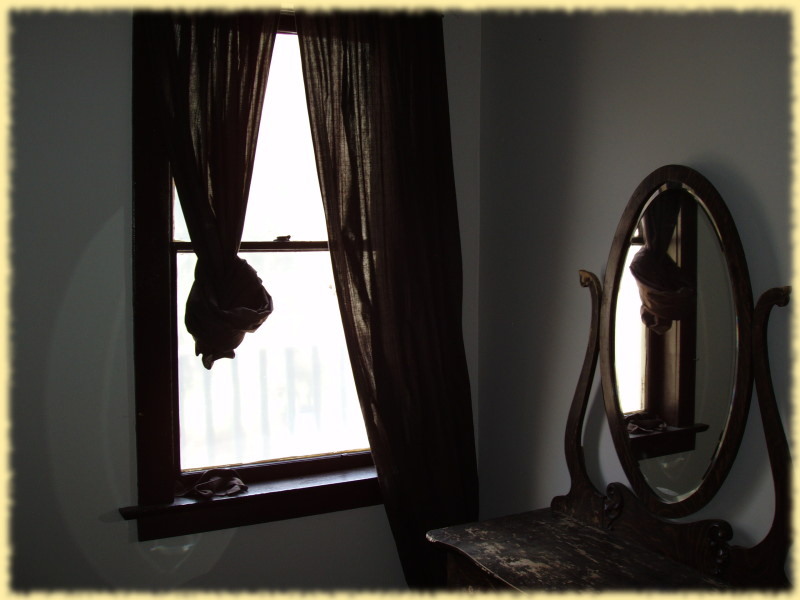 Other places in Coalmont are reported to be haunted, but the Hotel is particularly well known for ghostly sounds and apparitional experiences. Some people seem to be unusually sensitive to this and refuse to go upstairs alone. 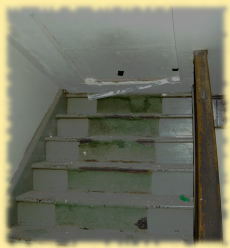 The third floor, which has been boarded up for years, is indeed spooky by anybody's standards. Nevertheless, many people are apparently unaffected.